Wade Madsen has been promoted to Aftermarket Account Manager for Baker Perkins Inc. in Grand Rapids, Michigan. His appointment strengthens the sales team providing Lifetime Support to customers in the food industry throughout North America. Wade is responsible for the sale of additions and alterations to existing machinery, and also replacement parts. 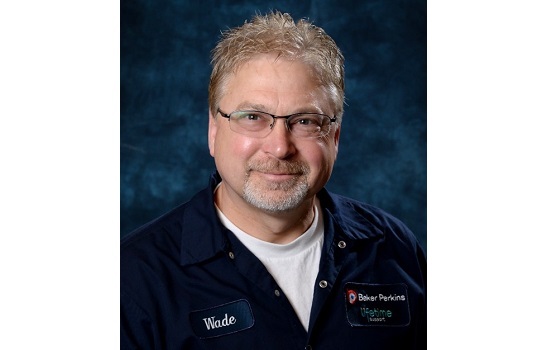 Wade has been with Baker Perkins since April 2012, and was most recently a field service technician responsible for new machine installation, commissioning and start up, and repairs/upgrades. Baker Perkins provides advanced process technology and services to the cookie and cracker, bread, biscuit, confectionery, ready-to-eat cereal, snack and food extrusion sectors, and has supplied machinery, systems and services to the food industry from its Michigan base for over 100 years. Baker Perkins’ policy of providing full support throughout the lifetime of every machine involves replacement parts, service, inspections and fault-finding, plus rebuilds and upgrades to improve performance and extend life. The service extends to plant modifications as well as unit machines in the cookie and cracker, confectionery, bread and food extrusion sectors.